Ilene joined Back 2 Normal in May 2015, and is our fitness and rehabilitation expert. Ilene offers private and duet sessions, where she customizes programs to maximize results and performance. 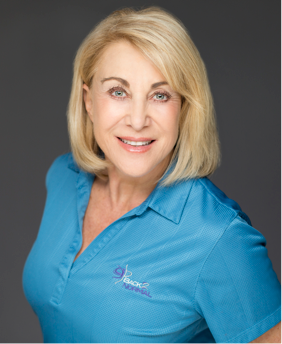 Ilene is a nationally Certified Personal Trainer, Corporate Wellness Consultant, Fitness Author and Professional Speaker. Certified by the American College of Sports Medicine (ACSM) for more than 20 years, she has specialized in post-rehab fitness, weight loss, functional/ & core training, TRX suspension training, Pilates, and fitness in the workplace. Ilene struggled with her own weight until almost 50 years of age when she lost over 46 inches, embraced fitness and transformed her own life. She became dedicated to well being and helping those who struggle to be fit. Ilene has competed in 5 marathons and ranked as a finalist in a fitness competition. She served as a health and fitness contributor at NBC News in Tampa, Daytime Morning Shows and radio talk shows. Her personal experiences and professional training has empowered her clients to invest in their own health and well-being.